Kinesiology is a holistic approach to long-lasting health and vitality, with results that can be felt immediately. It melds ancient eastern energetic healing arts with western physiological healing sciences to address a wide-range of physical, emotional, mental, nutritional and spiritual issues. Begin your life changing journey today with O’Neill Kinesiology College. Do you want to become a highly valued and recognised health care professional, help others improve their physical, nutritional, mental and emotional health while discovering your own self-awareness along the way? If this sounds like you then why not learn Kinesiology? Start your education at our highly esteemed college and become a Kinesiologist. Find more information on our website, book a meeting with a course advisor or visit our campus, located only 10 minutes from the Perth city in Myaree. 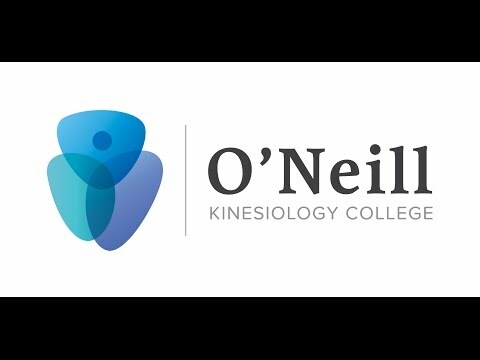 As Western Australia’s premier training college for kinesiology study, O’Neill Kinesiology College is recognised as a quality institution that is staffed by highly skilled and qualified teachers who have industry experience. Our up-to-date, integrated and hands-on approach to every part of our curriculum ensures you are given the best opportunity to learn. Kinesiology is growing in WA as it is considered an excellent non-invasive treatment that contributes greatly to physical rehabilitation, emotional and mental well-being. If you are looking to learn kinesiology, O’Neill Kinesiology College is consistently moving forward and aligning itself with the latest research and advancements in the industry, ensuring you an excellent education. Our team of highly qualified lecturers are extremely experienced in Anatomy & Physiology, principles of energetic medicine and the practical kinesiology skills required to address many physical, nutritional and emotional ailments. All this knowledge will be passed on to you through theory and practical lessons. Kinesiology is holistic health care; it addresses the entire physical form as opposed to the symptoms of one issue or disease. The idea is that the body and the mind are indivisible and that the physical and emotional forms are individually affected when one or the other is out of sync. Kinesiology works to treat the entire body as a means to correct imbalances using a variety of treatments combining western physiological science and traditional eastern medicine. What is Energetic Kinesiology Used For? If you have any questions about becoming a Kinesiologist in Perth, please do not hesitate to contact us on 08 9330 7443. We are always happy to answer any queries you may have. Today is R U OK? Day. I want to tell my story in the hope that it will help you break out of the stress and depression cycle. Unless you’re remarkably lucky, running your own business is stressful.